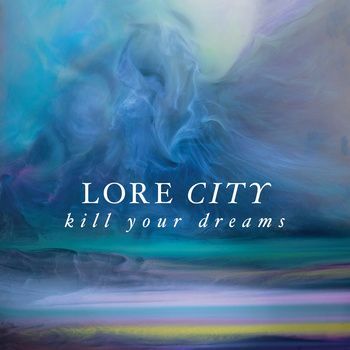 By now, I hope that you have read my review of Lore City's "Absence & Time" which was released on cassette via Already Dead (http://raisedbygypsies.blogspot.com/2013/05/cassette-review-lore-city-absence-time.html) and if you haven't please do so because I might not spend too much time discussing this album overall as much as a few specific pieces of it. While I can hear any number of influences in this music- from K's Choice and Poe to Mazzy Star and Joan Jett, the biggest musical influence I can perhaps hear coming out is that of Hole. I've always had a problem with comparing any band to Hole (not just bands that I like better than Hole, such as Lore City) because I've always felt it to be somewhat of an insult. The fact is that I did like "Live Through This" to some extent and the covers album released earlier this year I reviewed of it made me realize how much I did because I knew practically every song word for word. What I'm saying is that Hole might not be the best band in the world in the sense that Courtney Love is most definitely coockoo bananas, but they still have a solid strong structure and a base that if built up with someone a little bit more stable perhaps it could be wonderful. The fact that Lore City helps me to realize all of this just goes to show you what kind of miracles Lore City can work as a band. And I'm by no means saying "Lore City = Hole" because it's something more along the lines of taking those fundamentals that Hole has and turning them into something better than Courtney Love ever could. Saying that this sounds like a better version of Hole seems ridiculous. It has those dreamy, almost psychedelic guitar riffs and while it's maybe something like 13% Hole influenced it just has its own sound to me because that's a sound that I heard on "Absence & Time". An interesting note about this album though is that no matter how many times I listen to it I will never hear the words to "All I Want" properly. There is a line that says "Just want someone around" and then is followed by a reason why and I always mishear it as "to say that I'm adore", as if she was going to say she just wants someone around to say she's adorable and then it gets cut off. Why do I hear that? I don't know because this isn't a cute and cuddly type of album even. If anything it would be in a movie like "The Crow". This is the type of sound that lurks in the dark shadows, waiting to jump you just for fun. (In the sense that they'd just give you a fright and do no real harm, ya dig?) "Kill Your Dreams" is just very powerful. It's not always loud in an AC/DC sense but it is able to fill up a football stadium and as such should be experienced at maximum volume.